If you’re looking at insulation companies to take care of your home in the Columbus, Ohio, area, there’s no need to continue searching. At 31-W Insulation, we have the best team of professional installers around, so you can count on us for excellent service and thorough workmanship. We proudly install insulation from nationally trusted companies like CertainTeed and Owens Corning®, so you can be sure that your new insulation materials will stand the test of time. At 31-W Insulation, our trusted installers are our own highly experienced employees, so you can trust that they’ll uphold our high standards as a family-owned company that focuses on its customers’ needs as homeowners. And, since we’ve been serving homeowners in Columbus, Ohio, and beyond since 1972, we’ve been refining our process for decades to ensure the most thorough and efficient workmanship possible. 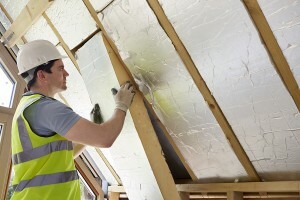 To learn more about why you should choose 31-W Insulation over other companies in Columbus, OH, contact us today.